In the geospatial domains, we can witness that more spatial data than ever is produced currently. Numerous sensors of all kinds are available, measuring values; storing them in databases, which are linked to other databases being embedded in whole spatial data infrastructures; following standards and accepted rules. We can witness also that we are not short of ever more new modern technologies for all parts of the spatial data handling processes, including data acquisition (e.g., unmanned aerial vehicles currently), data modeling (e.g., service-oriented architectures, cloud computing), and data visualization and dissemination (e.g., location-based services, augmented reality). So where are we now with all those brave, new developments? Obviously, we are not short of data in many ways. Clearly, we can state that it is rather the opposite. The problem is often not that we don’t have enough data but rather too much. We need to make more and more efforts to deal with all that data in an efficient sense, mining the relevant information and linking and selecting the appropriate information for a particular scenario. This phenomenon is being described as “big data.” Often, application developments start there. Because we have access to data, we make something with it. We link it, we analyze it, we produce applications out of it. I call this a data-driven approach. We are also not short of technologies. It is rather the opposite; while just being able to fully employ the potential of a particular data acquisition, modeling, or dissemination technology, new technologies come in and need to be considered. New technologies become available more and more quickly and need to be evaluated, addressed, and applied. Often, application development starts there. Because we have a new technology available, we make something with it. I call this a technology-driven approach. However, the particular need, demand, question, or problem of a human user is often taken into account only when the data-driven or technology-driven application, product, or system has been built. Often, this causes problems or leads to products, systems, and applications that are not accepted, not efficient, or simply not usable. By starting from the question What are the demands, questions, problems, or needs of human users in respect to location? we could eventually apply data and technology in a sense that they serve such user-centered approaches rather than determine the use. But how can we better unleash the big potential of geoinformation in such truly interdisciplinary approaches? How can we make sure that spatial data is really applicable for governments, for decision makers, for planners, for citizens through applications, products, and systems, which are not forcing them to adapt to the system but are easy to use and efficiently support the human user? 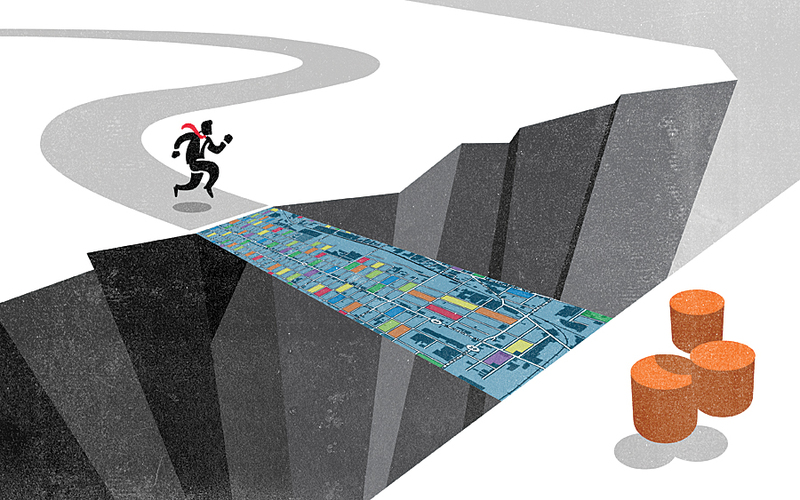 Maps can be seen as the perfect interface between a human user and big data. In this respect, maps and cartography play a key role. Maps are most efficient in enabling human users to understand complex situations. Maps can be understood as tools to order information by their spatial context. Maps can be seen as the perfect interface between a human user and all that big data and thus enable human users to answer location-related questions, to support spatial behavior, to enable spatial problem solving, or simply to be able to become aware of space. Today, maps can be created and used by any individual stocked with just modest computing skills from virtually any location on earth and for almost any purpose. In this new mapmaking paradigm, users are often present at the location of interest and produce maps that address needs that arise instantaneously. Cartographic data may be digitally and wirelessly delivered in finalized form to the device in the hands of the user or the requested visualization derived from downloaded data in situ. Rapid advances in technologies have enabled this revolution in mapmaking by the millions. One such prominent advance includes the possibility to derive maps very quickly immediately after the data has been acquired by accessing and disseminating maps through the Internet. Real-time data handling and visualization are other significant developments, as well as location-based services, mobile cartography, and augmented reality. While the above advances have enabled significant progress on the design and implementation of new ways of map production over the past decade, many cartographic principles remain unchanged, the most important one being that maps are an abstraction of reality. Visualization of selected information means that some features present in reality are depicted more prominently than others, while many features might not even be depicted at all. Abstracting reality makes a map powerful, as it helps to understand and interpret very complex situations very efficiently. Abstraction is essential. Disaster management can be used as an example to illustrate the importance and power of abstract cartographic depictions. In the recovery phase, quick production of imagery of the affected area is required using depictions that allow the emergency teams to understand the situation on the ground from a glance at the maps. Important ongoing developments supporting the rescue work in the recovery phase are map derivation technologies, crowdsourcing and neocartography techniques and location-based services. The role of cartography in the protection phase of the disaster management cycle has always been crucial. In this phase, risk maps are produced, which enable governors, decision makers, experts, and the general public alike to understand the kind and levels of risk present in the near and distant surroundings. Modern cartography enables the general public to participate in the modeling and visualizing of the risks neighborhoods may suffer from on a voluntary basis. Modern cartography also helps to quickly disseminate crucial information. In this sense, cartography is most relevant. Without maps, we would be “spatially blind.” Knowledge about spatial relations and location of objects are most important to learn about space, to act in space, to be aware of what is where and what is around us, or simply to be able to make good decisions. Cartography is also most contemporary, as new and innovative technologies have an important impact into what cartographers are doing. Maps can be derived automatically from geodata acquisition methods, such as laser scanning, remote sensing, or sensor networks. Smart models of geodata can be built allowing in-depth analysis of structures and patterns. A whole range of presentation forms are available nowadays, from maps on mobile phones all the way to geoinformation presented as augmented reality presentations. The successful development of modern cartography requires integrated, interdisciplinary approaches from such domains as computer science, communication science, human-computer interaction, telecommunication sciences, cognitive sciences, law, economics, geospatial information management, and cartography. It is those interdisciplinary approaches that make sure that we work toward human-centered application developments by applying innovative engineering methods and tools in a highly volatile technological framework. A number of important technology-driven trends have a major impact on what and how we create, access, and use maps, creating previously unimaginable amounts of location-referenced information and thus putting cartographic services in the center of the focus of research and development. Where are we heading? What we can expect in the near future is that information is available anytime and anywhere. In its provision and delivery, it is tailored to the user’s context and needs. In this, the context is a key selector for which and how information is provided. Cartographic services will thus be widespread and of daily use in a truly ubiquitous manner. Persons would feel spatially blind without using their map-based services, which enable them to see who or what is near them, get supported and do searches based on the current location, and collect data on-site accurately and timely. Modern cartography applications are already demonstrating their huge potential and change how we work, how we live, and how we interact. In this situation, it is of high importance that those who are interested in maps, mapping, and cartography are working together on an international level. This is exactly the role of the International Cartographic Association(ICA). ICA is the world authoritative body for cartography and GIScience. It consists of national members and affiliate members. Basically, we encourage every nation, company, government agency, or cartographer in the world to join the big family of cartography and GIScience, which makes the voice of ICA even more important (www.icaci.org). Modern cartography is key to humankind. 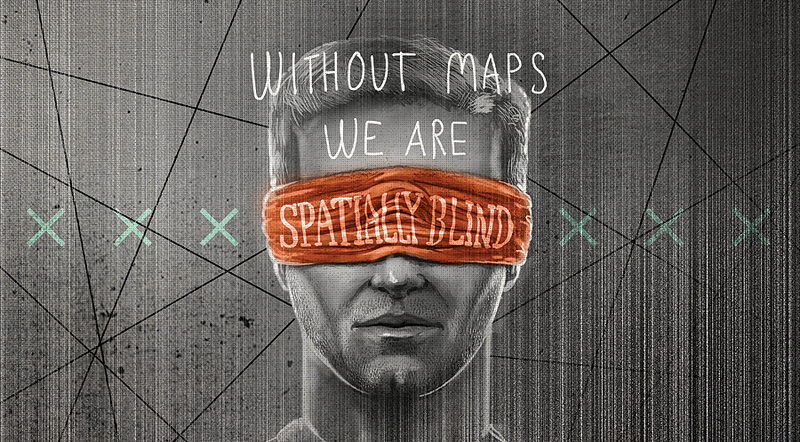 Without maps, we would be spatially blind. Knowledge about spatial relations and location of objects are most important for enabling economic development, for managing and administering land, for handling disasters and crisis situations, or simply to be able to make decisions on a personal scale on where and how to go to a particular place. New and innovative technologies have an important impact on what cartographers are doing. Maps can be derived automatically from geodata acquisition methods, smart models of geodata can be built, and a whole range of presentation forms is now available. Maps and other cartographic products are attractive. Many people like to use maps; to play around with maps, for instance, on the Internet; or simply to look at them. We can witness a dramatic increase in the number of users and use of maps currently. Georg Gartner is a full professor of cartography at the Vienna University of Technology. He holds graduate qualifications in geography and cartography from the University of Vienna and received his PhD and his Habilitation from the Vienna University of Technology. He was awarded a Fulbright grant to the University of Nebraska at Omaha in 1997 and a research visiting fellowship to the Royal Melbourne Institute of Technology in 2000, to South China Normal University in 2006, and to the University of Nottingham in 2009. He is dean of academic affairs for geodesy and geoinformation at Vienna University of Technology. He is a responsible organizer of the International Symposia on Location Based Services and editor of the book series Lecture Notes on Geoinformation and Cartography by Springer and editor of the Journal on LBS by Taylor & Francis. He serves as president of the International Cartographic Association. For more information, contact university professor Dr. Georg Gartner, Research Group Cartography, Department of Geodesy and Geoinformation, Vienna University of Technology, Vienna, Austria. Dr. Gartner is also president of the International Cartographic Association.